Rob with her BIG JUMP! Had a very short, but very awesome and productive ride yesterday. 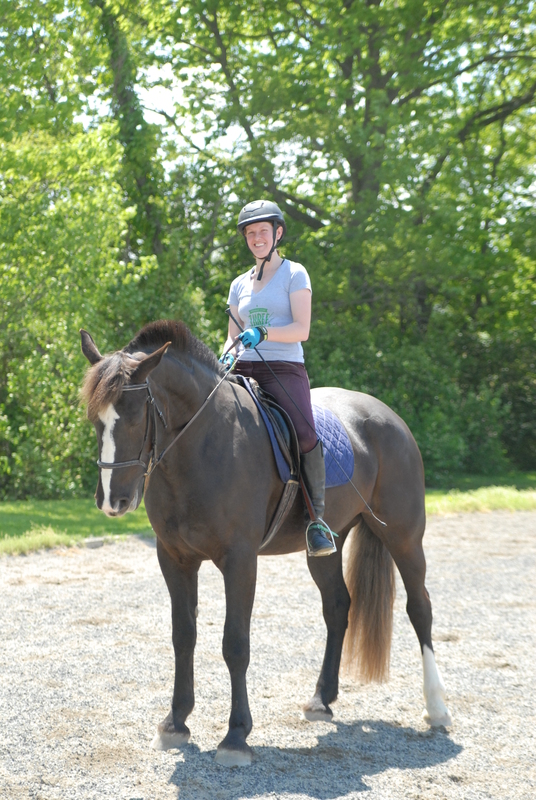 When I got to the barn, Kathy was just finishing up a ride in the outdoor, so I speed-groomed and speed-tacked so I could ride with her a little bit. 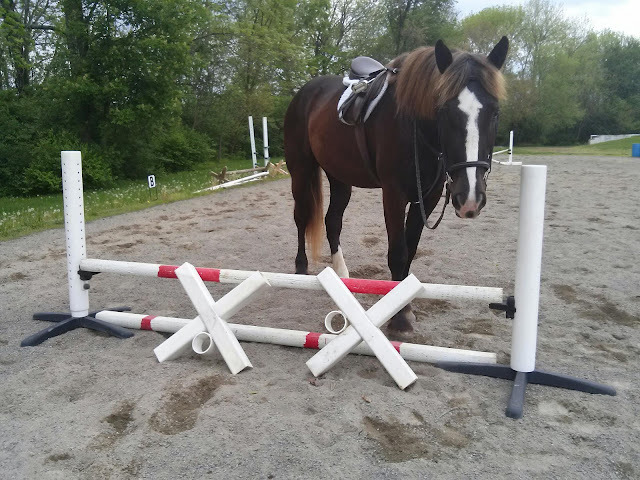 I moved one of our jumps, which were set for two strides, so that there was a good amount of space between them. I wanted to see what Rob would do when she had two jumps in a straight line, but with an undetermined number of strides in between. Overall it was a really great ride. We had a very short warmup on the flat, then went through the line four times or so. She was taking every distance I asked for, and it really felt like we were both starting to see the takeoff spots. The worst jump we took, I saw a long spot but didn’t ask for it – and then we ran through the jump! So I need to remember to have confidence in our spots, and to have confidence that Rob will listen if I ask her for a long spot. I know she can do it! < Previous Holy Cow, 18"!